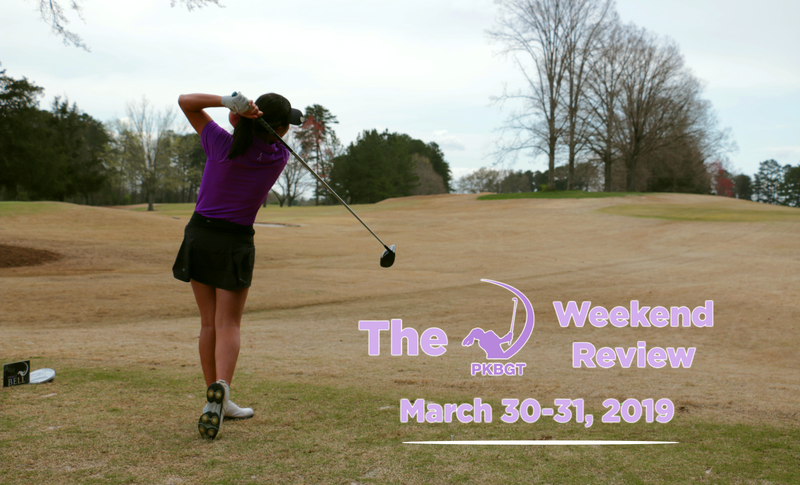 The Peggy Kirk Bell Girls’ Golf Tour headed to the coast for a beach weekend with the National Series on March 23-24, playing the 2019 Cape Fear Classic presented by Evolve Golf! The scent of crisp ocean air spread several miles from the shores of Wrightsville Beach, over Banks Channel and inland to the sapphire glimmering bodies of water lining the Country Club of Landfall. 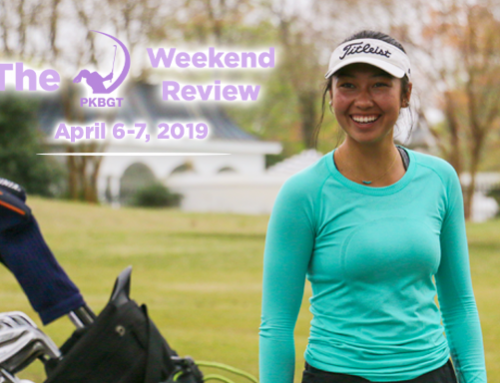 Nestled in the 910 and the gateway to the Cape Fear Coast, the Peggy Kirk Bell Girls’ Golf tour looked to add a page to downtown’s historic past over the weekend at the 2019 Cape Fear Classic. 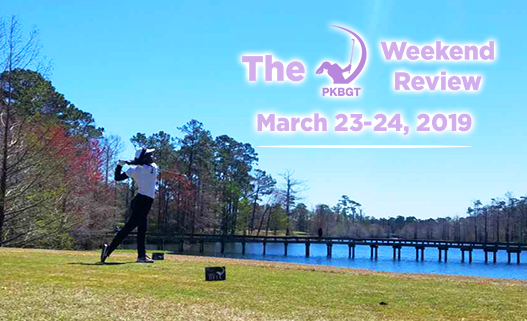 For two days of crystal clear blue skies coddled by an occasional fluffed white cloud in the hometown of Evolve Golf, the PKBGT’s first-year partner for the event, 52 competitors flocked to Wilmington, NC like a colony of seagulls. With players traveling from as far north as Pennsylvania and west as Missouri, not only was the weekend an opportunity to escape from the still-chilling climate of March in their hometown, it was also a chance to take home a highly coveted PKBGT glass bowl. Though the northern winds on Saturday left a brisk hint in the air, it was a far cry from some of the fiercely biting cold days in previous months on the Tour. Sunday brought a soothing southern breeze to the second day of play, along with the warming smile of Channing Garnett (Wake Forest, NC; Class of 2018) at the first tee tent. 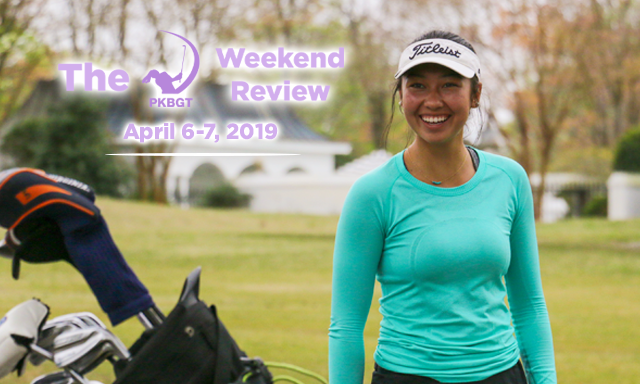 Giving back to the tour as a voluntary starter for the final round, the current freshman welcomed PKBGT members to the home course of the UNC Wilmington Women’s Golf team and provided a paragon of the tour’s progression towards playing collegiate golf. Calling out players names one-by-one as they took their first swings of the round, none related closer to Garnett than Kendall Turner (Chesapeake, VA 2019). 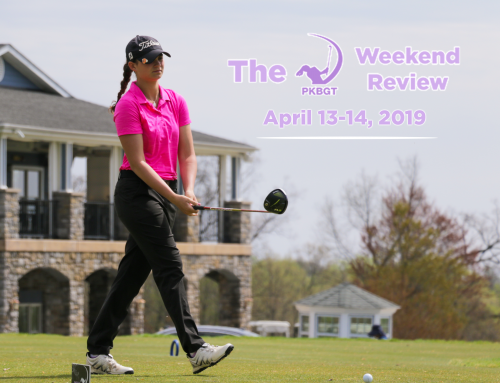 Turner, a six-year PKBGT veteran, is headed to Harrisonburg in the fall, joining the James Madison University Women’s Golf team. Like Garnett, she entered the closing months of her career heavily decorated with impressive accolades, but still in search of her first win on the tour. 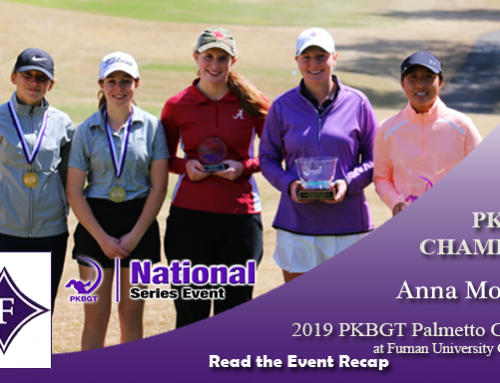 Clutching a two-stroke lead as Garnett introduced her on the first tee, Tuner was determined to sail through the round untouched and top off her memorable PKBGT career with a victory on a Division 1 golf course. 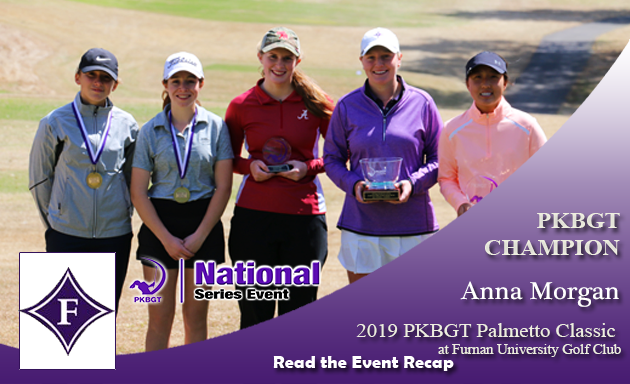 At the conclusion of Sunday’s final round, Turner conquered her quest for the trophy and stood alone atop the leaderboard of the Bell National field at the 2019 Cape Fear Classic. Turner’s final round 72 (E) was the top score out of all competitors on the weekend thanks to a near-flawless front nine, disrupted only by a double-bogey on the ninth hole. It was at that point where Turner showcased the ice water in her veins, ripping off a two-under-par back nine and running away with the win by 11 strokes. She finished the tournament with a two-day total score of 75, 72 = 147 (+3). Not to be outdone by Turner on the first day of the tournament, Regan Clifford (Mount Pleasant, SC 2020) matched the Virginia native’s first-round performance with a 75 (+3) of her own. 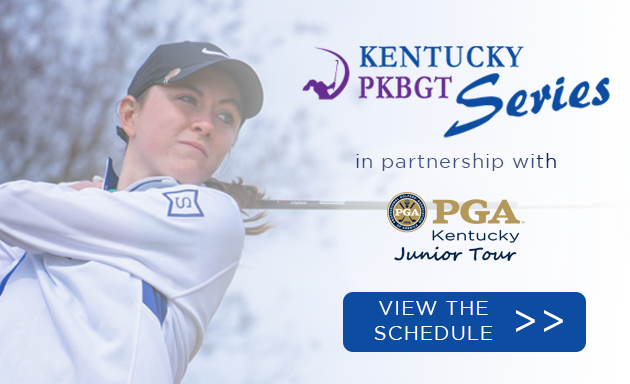 Though she was a multi-event winner on the Regional Series last season, Clifford entered the final round of play in Wilmington having never won a PKBGT National event. Though she was comforted by a greater cushion, leading the next-closest player by six strokes, Clifford understood that she needed another stellar performance to ride out of Cape Fear with a win. 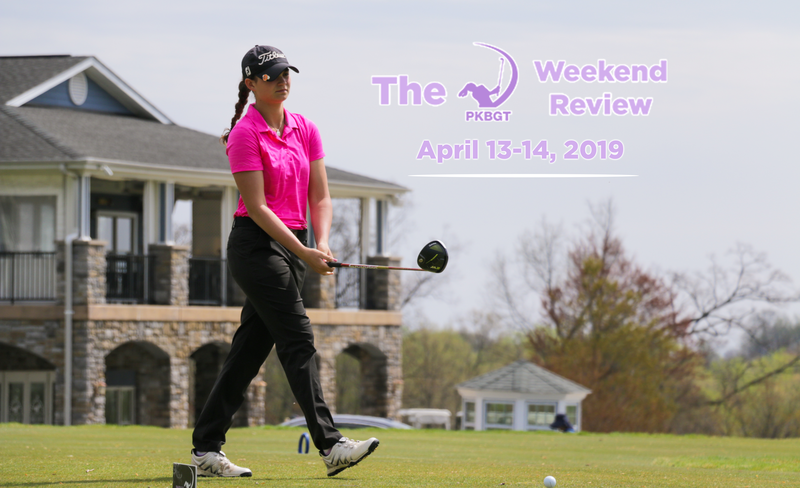 Multiple players surged toward Clifford, led by Paige Warren (Baltimore, MD 2021) who made a late-round charge with two birdies on the back nine of her Futures National best score of 74 (+2) Sunday afternoon. Despite the pressure of those in her rearview mirror closing in, Clifford remained poised and bounced back from a blunder on the 16th hole, holding off the surging field for the 2019 Cape Fear Classic title. 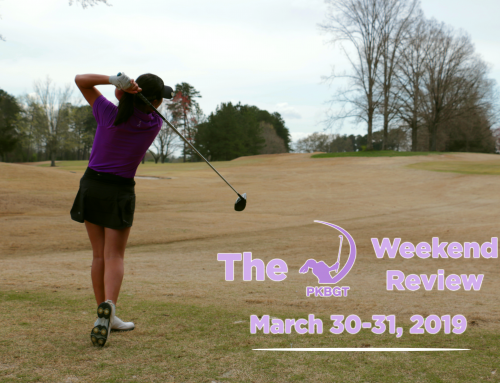 Catch up on all the details of the weekend in Wilmington! Read the event recap HERE! A weekend at the beach helped several players swim up the National Order of Merit Rankings. While they reacclimate to life away from the shoreline, we take a look at who capitalized most at the Country Club of Landfall with Movement Monday! The top of the Bell National Order of Merit remained unchanged with no player ranked inside the Top 30 competing in Wilmington. Kendall Turner pounced at the opportunity to climb in the rankings. Her win at the 2019 Cape Fear Classic advanced her position in the Order of Merit by 18 spots. She now sits in 32 and will compete next weekend in Charlottesville with the hopes of increasing her position further. Where the top of the Bell National Order of merit was relatively silent, the Futures National Order of Merit saw significant movement within the Top 30. This week’s #MoverOfTheWeek is Heather Appelson (Wake Forest, NC 2023) who jumped 32 spots and landed inside the Top 20. Now ranked 16th on the Order of Merit, Appelson finished T6 this weekend at the Country Club of Landfall. 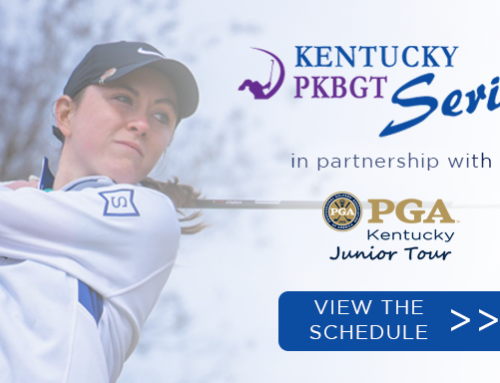 It’s a bustling weekend ahead for the PKBGT, with the National Series pulling off double duty at the 2019 Commonwealth Classic at Lake Monticello GC in Charlottesville, VA, and the 2019 Palmetto Classic at Furman University GC in Greenville, SC. Meanwhile, the Central Florida Regional Series is back in action at Rogers Park GC in Tampa, FL. Registration for that event closes TONIGHT at 12 a.m.